Deck-Lock Safety Cover Systems are a safe alternative to winterizing a swimming pool, providing peace of mind all winter long. No more water bags or tarp covers! No more pumping dirty surface water from your winter cover! Melted snow and ice drains through the cover, bringing the pool water closer to operating level in the spring. Minimal clean up – leaves and debris will dry and blow away! 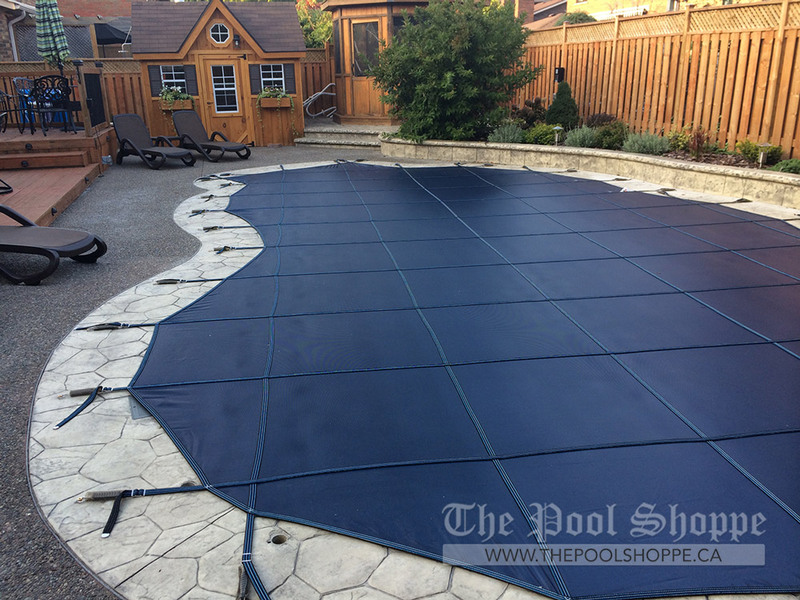 Our Pool Shoppe technicians will inspect the deck and pool area. They will custom measure the pool and submit the drawings to the manufacturer for a firm quote on your pool safety cover. We will install your custom Yard Guard™ Safety Cover and close your pool, if requested.